Dont Wait for a New Build! 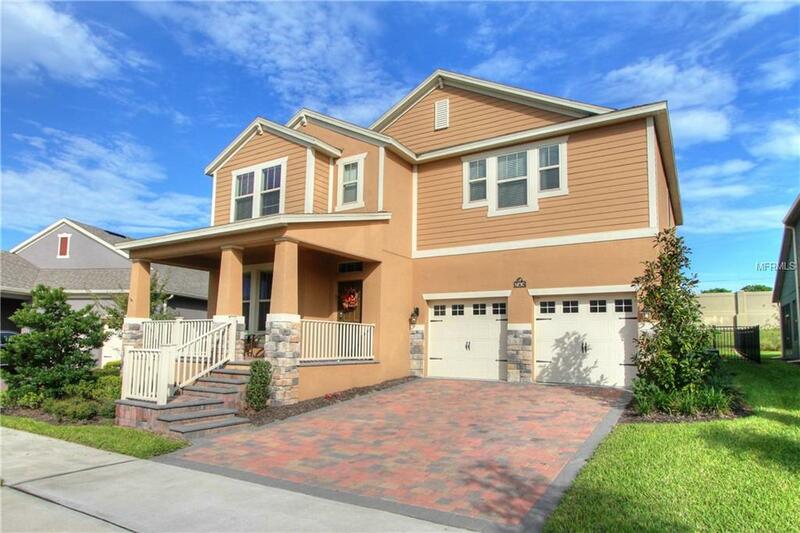 This pristine home can be yours NOW and has ALL THE UPGRADES you need! As the focal point of the home, the elegant and highly upgraded kitchen will inspire your inner chef with its granite counters, center island with under-mounted farmhouse sink, and huge pantry. All of this opens up to the spacious dining area and family room, making this home the ideal setting for large get-togethers. Enjoy warm evenings with dinner out on your covered and screened lanai, and know the puppies are secure with the fenced yard. Youll love simple day-to-day living with features like the large upstairs loft sitting room, a drop zone next to the garage entry, the front-of-home flex space/den, and the sizable laundry room. Visiting guests are no trouble with the tucked away, downstairs guest room and adjacent full bathroom. After a long day retire to your beautiful master retreat complete with tray ceiling, custom drapes, huge walk-in closet and ensuite bathroom. Other home highlights include wood plank tile flooring throughout downstairs, crown molding, no rear neighbors, and wrought iron stair railings. HOA includes all home landscape maintenance and luxury resort style amenities in a lakefront community. Waterleigh features two clubhouses, pools, a dog park, lake front walk/biking trails and much more! Ideal location, in A-rated school district, just minutes from Orlando Health Hospital, shopping, movie theater, and restaurants. This holiday season treat yourself to the good life!